Soothe Your Body, Mind and Soul. So you’ve heard all about meditation. You know about its benefits, and you think it’s something you’d like to give a go. If only you could calm your mind! With everything that’s going on in your life - work, kids, grandkids, relationships, elderly parents, not to mention the grocery shopping and chores - sitting still and doing nothing for 15 minutes doesn’t just seem like a luxury, it seems near impossible! But you shouldn’t see meditation as a luxury - it’s an essential part of your self-care routine. The long-term physical and mental benefits of regular meditation practice will enhance your life and give you time back. Time you could spend playing with your little ones. Time you could spend with your partner. Time you could spend pursuing your passion in life. But back to that busy mind of yours. Have you heard of sound meditation? Sound meditation is when you meditate to the sounds of ancient musical instruments, such as Tibetan bells, drums, gongs, or, my personal favorite, crystal singing bowls. Taking part in a sound meditation could make it easier for you to experience inner calm and deep relaxation. Also known as sound healing, it’s a fantastic way of releasing energy and connecting us to the Divine. Great healing effects come from using sound medicine. It can aid in healing depression and soothe anxiety. It's also known to increase our vibrational rate, which allows us to raise our consciousness and helps our soul to grow. 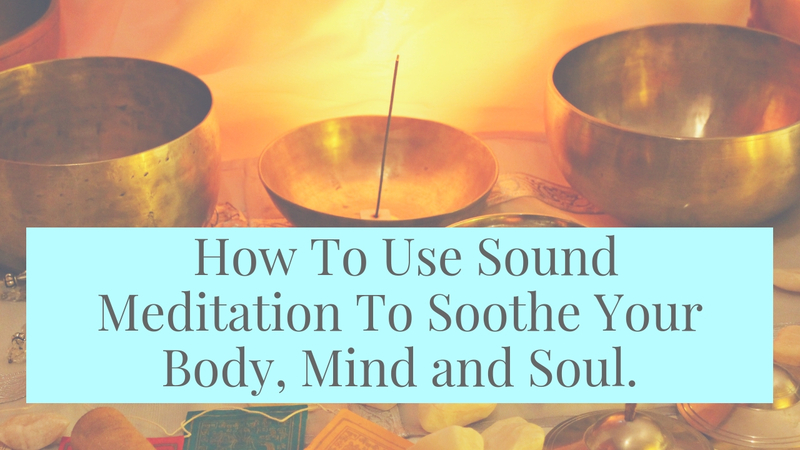 In this weeks video, I demonstrate the different types of instruments that I use in my sound healing sessions and explain how the sound benefits and affects your body, mind and soul.